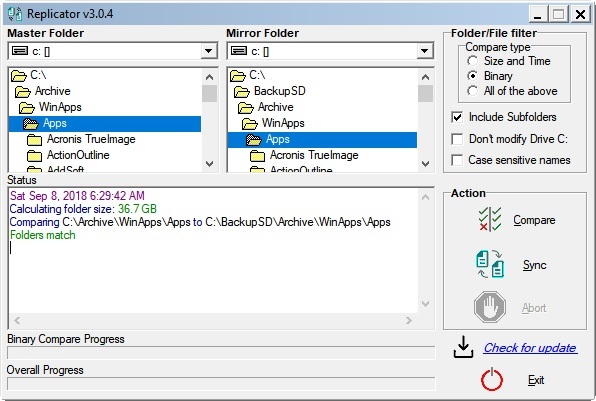 - Fast maintenance of backup images located on removable drives. Such as a USB drives. - Command line support with background timer setting. - Comparing directories for mismatches and/or replace any mismatches. - Create safer backups by not merging everything into a single file. - Remember settings from up to a dozen previous sessions.